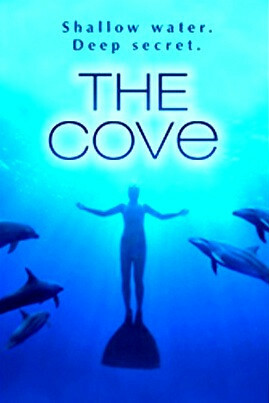 An Academy Award nominated documentary by former National Geographic photographer Louie Psihoyos, The Cove reveals the hunting of dolphins that takes place in Taiji, a small town in Japan. The feature also includes Ric O’Barry, most famous for training dolphins for the TV series, Flipper. He started questioning the capture of dolphins after the death of Kathy (Flipper). He feels that dolphins can commit suicide by deciding not to take a breath. And he believes that Flipper had done exactly that. After this incident, he is determined to stop any action that is unfair to dolphins and that’s when he discovers Taiji. Most foreigners are questioned and sometimes followed by officials as they land in Taiji with the suspicion that their wrong doings will be uncovered. Even the crew of The Cove had to hide cameras to capture footage in the prohibited areas where the dolphins are slaughtered. The crew come up with a brilliant idea to plant hydrophones and full orchestra to get the footage on the slaughtering of the dolphins. The logistics and the efficient execution was superb! It kind of reminded me of movies like Oceans Eleven. The film also brings out the fact that the Government was a part of this by allegedly bribing other countries who are a part of the International Whaling Commission to participate in whale/dolphin killing. This is not entirely true. You can read more about that here. The meat was part of the lunch program in Taiji, which has now been scrapped after finding high amounts toxic mercury in them. It was really heartbreaking to see the slaying of the dolphins, who smile all the time. The dolphins are supposed to be one of the most friendliest mammals. They can see right through us with their powerful sounds. Dolphins have saved the lives of many surfers by preventing shark attacks on them. An exciting documentary that uncovers some dirty secrets in the world of dolphins. It saddens me how cruel mankind can be to these creatures. Do watch this well made film that has received many accolades. I stumbled upon this art documentary: Exit Through the Gift Shop. Here’s what I think. The film is about Theirry Guetta, an amateur LA artist, originally from France. He runs a small clothing store and is obsessed about filming everything he sees. On his visit to France, he was found by the street artists who wanted him to film their work and document it. Theirry had now found his focus and wasn’t going to let go. But he did nothing more than filming. 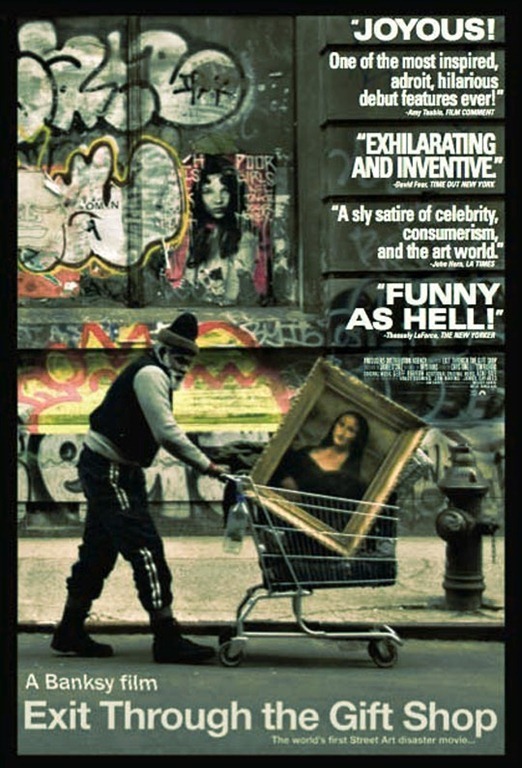 Banksy, a famous graffiti artist was someone whom Thierry hadn’t got the opportunity to film. He badly wanted to film him and one day he got a surprise phone call that would change his life. Banksy, was camera shy and wanted Thierry to document his work on his own terms. Little did he know that Thierry had no intention of editing his film rolls and creating a film. In the process Theirry learnt a lot about street art. Soon, Thierry’s wife, Deborah Guetta, got bored of his expeditions and reminded him that he had a family back home in LA. But Theirry wasn’t going to stop there. He started his own street art and also made a short film with all his recordings. Bangsy saw the not-so-good film and suggested that he should focus on street art and stop filming. Theirry takes up his street art seriously and starts calling himself Mr. Brainwash. He decides to host an art show similar to Bangsy but on a much larger scale. Bangsy would soon regret helping Theirry with his suggestion. The film also contains footage from other graffiti artists like Shepard Fairey and Invader. Banksy’s great direction to capture some stunning artwork is really admirable. I’m usually not good at sitting through a whole documentary, but I as fascinated by this one. It had my entire attention till the end! Nominated for an Oscar and many more awards, this documentary is definitely worth a watch. Art lovers will definitely find this quite impressive!